It’s over, and what magical ride it was. 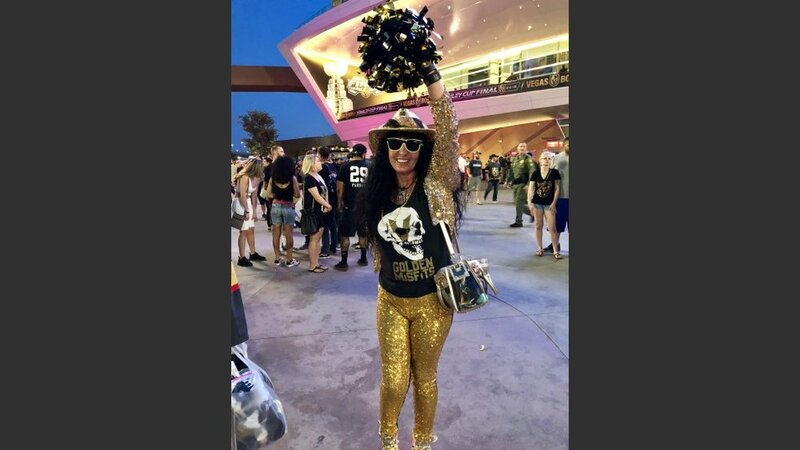 One of the great Cinderella runs in American sports history ended Thursday at T-Mobile Arena with the Washington Capitals winning their first Stanley Cup and bringing down the curtain on the Vegas Golden Knights gold-dusted season. The Knights didn’t go down without a fight in Game 5. They led 3-2 in the third before the Caps rallied with a pair of goals in a tense 4-3 win. It was the crowd’s final salute to a group of over-achievers who electrified a city by reaching the Stanley Cup Finals. 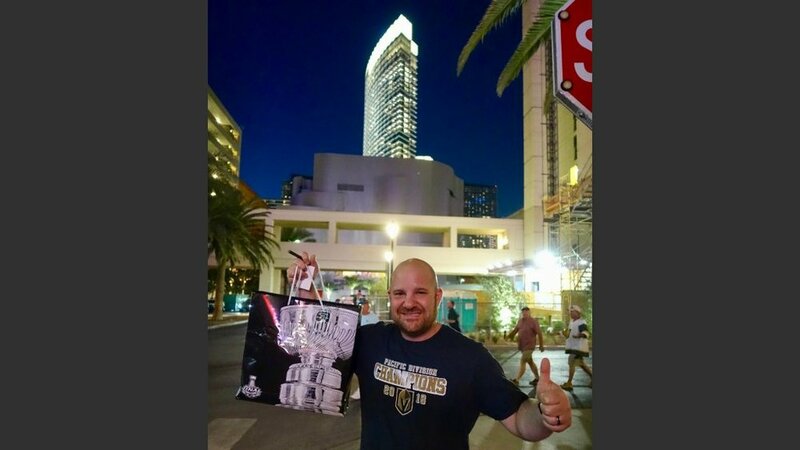 Jason Owens, a waiter at Picasso restaurant since the day Bellagio opened Oct. 15, 1998, put the Golden Knights’ inspirational season in perspective. 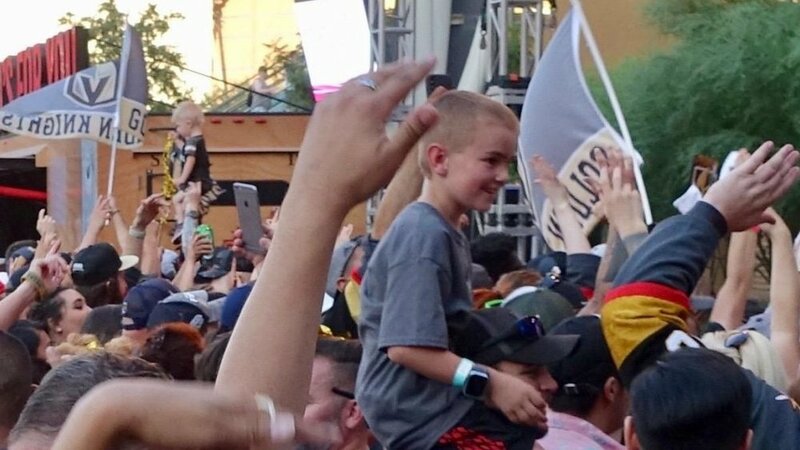 “Without them,” he said, “this city would not have rallied from Oct. 1,” a horrifying day that plunged Las Vegas into one of its darkest times. Fifty people died in the worst massing shooting in American history when a madman fired more than 1,100 bullets into a country concerts below his Mandalay Bay suite. Five days later, the team of castoffs opened its season with a 2-1 victory over Dallas and reeled off eight wins in the first nine games. 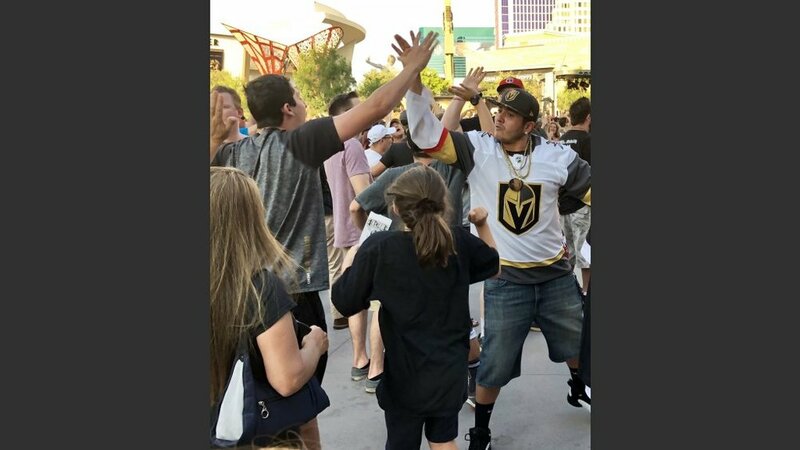 John Fiore, who sells luxury watches at the Forum Shops at Caesars, had just watched some Washington fans celebrating in Toshiba Plaza. It left a bitter taste. 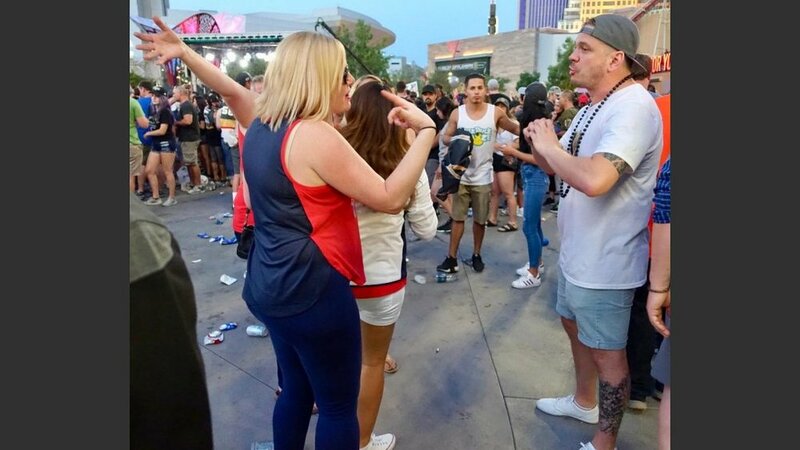 One of the most fascinating reactions I witnessed was a man who approached three or four female Washington fans and made the universal heart gesture with his hands. I caught up to him for an explanation. Andrew Brough, 33, said it was totally of respect for what the Caps had just accomplished. 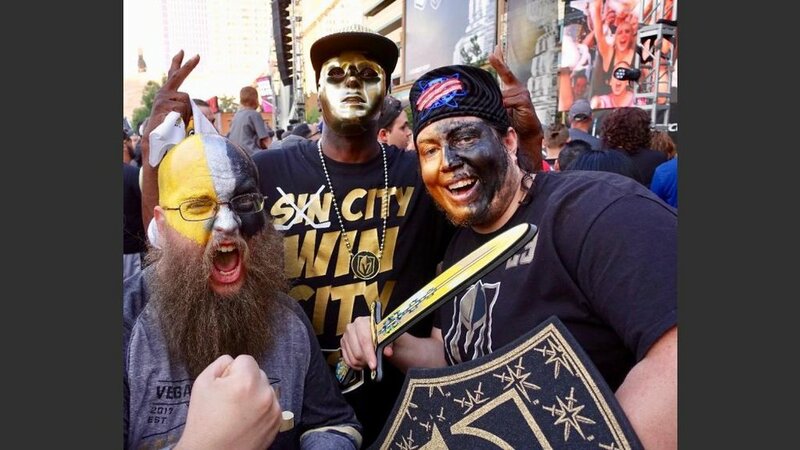 “The reason I came (to Toshiba Plaza) was because a friend of mine from Vancouver moved to Las Vegas and he became a Knights fan. I’m a die-hard Canucks fan but never have I ever entered into what would be a non-traditional sports market and see the city rally around their team. “It is absolutely unprecedented. I have nothing but the utmost respect for them,” he said. “Congratulations to Washington Capitals for winning their first-ever Stanley Cup. Ovie deserves and Holmby deserves it. 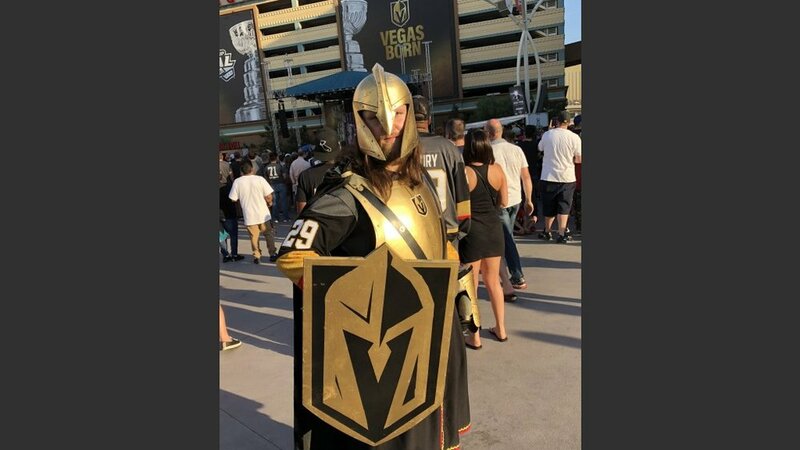 But my hat’s off right now to the Las Vegas Golden Knights. “You guys have true fans and if your inaugural year is any indication of the future success of your NHL franchise, you guys have a very bright future ahead.